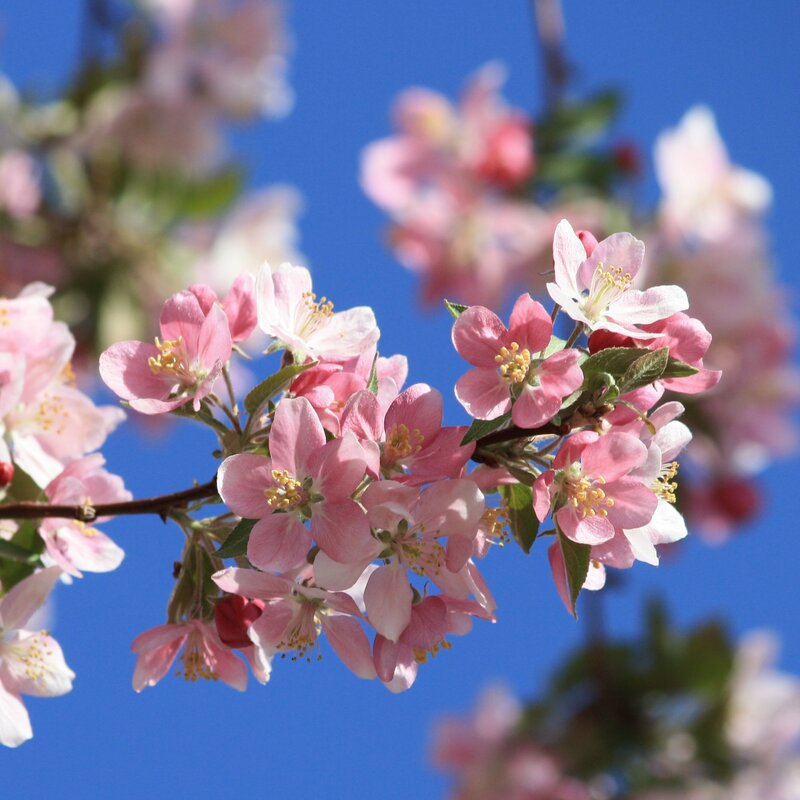 Free high resolution photo of pink spring blossoms. These beautiful pink flowers were on a crabapple tree that was in full bloom. You can see small green leaves and a gorgeous blue sky in the background. Free picture for any use.